Category: Elixir Bass Strings. Tags: bad horse, city, effect, effect pedal, elixir, fishbone, guitar, horse, joyo, klon, moen, mooer, strings. The Nickel Plated Steel Bass Strings deliver a fuller rounder tone with greater clarity and a heavier presence in the mids. The all new coating, created just for bass, gives the strings a more natural feel that’s easier to grip while extending the tone life. From deep, rich lows to bright, punchy mids to sweet top-end detail, Elixir Strings deliver the full range of bass tones. Every time you play your bass, tiny bits of you are left to invade the windings to contaminate your strings and kill your tone. 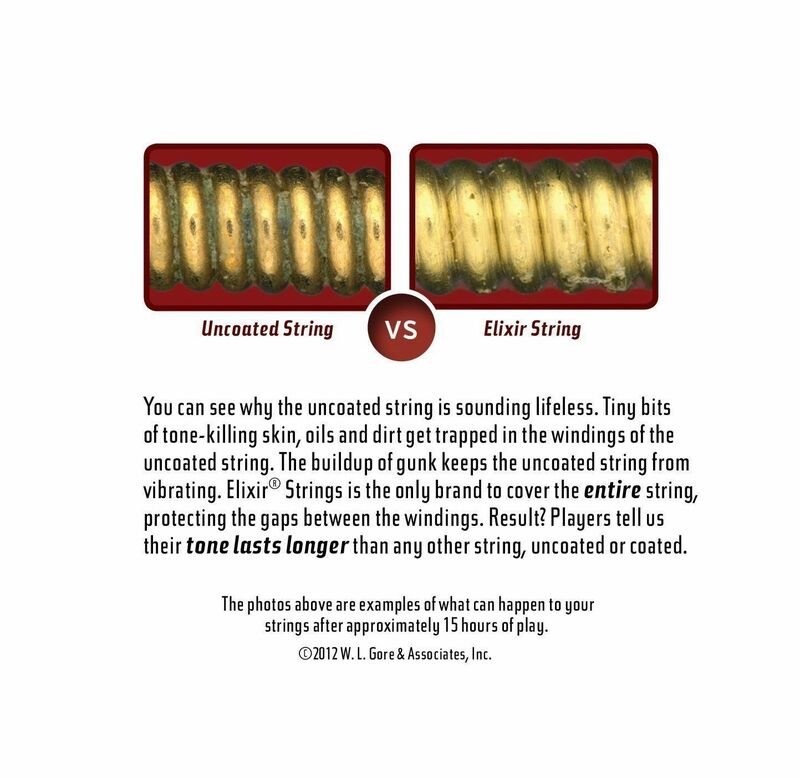 Elixir Strings are the only strings that keep dirt out of the windings by coating the entire string. 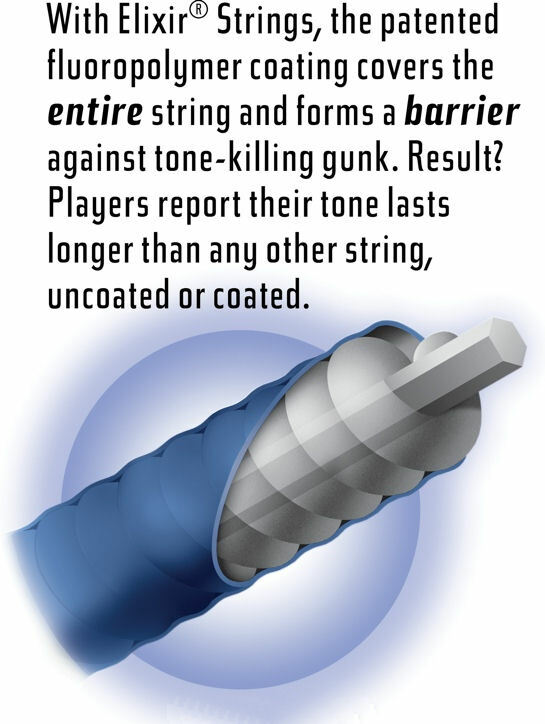 Our ultra-thin NANOWEB Coating provides a bright, lively tone that players tell us lasts longer than any other string, uncoated or coated. This means you buy fewer sets of strings, change them less often and trust your guitar is ready to go whenever you are. 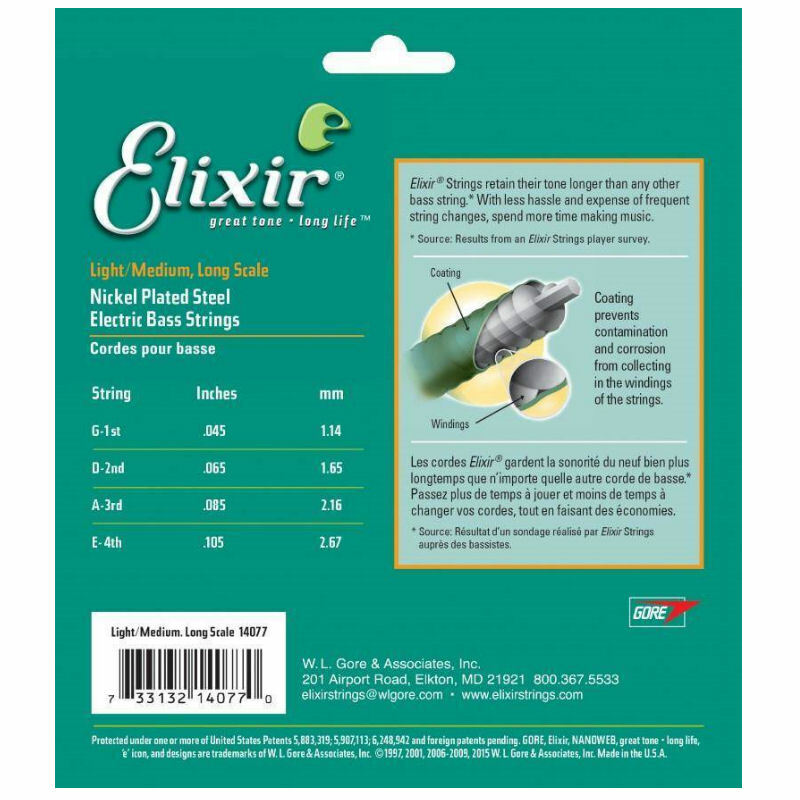 Elixir Nanoweb 4 String Bass Strings Medium Long .045 – .105 More and more guitarists are choosing Elixir coated guitar strings. The NanoWeb coating feels like traditional uncoated strings and produces the bright tones and punch of uncoated strings. 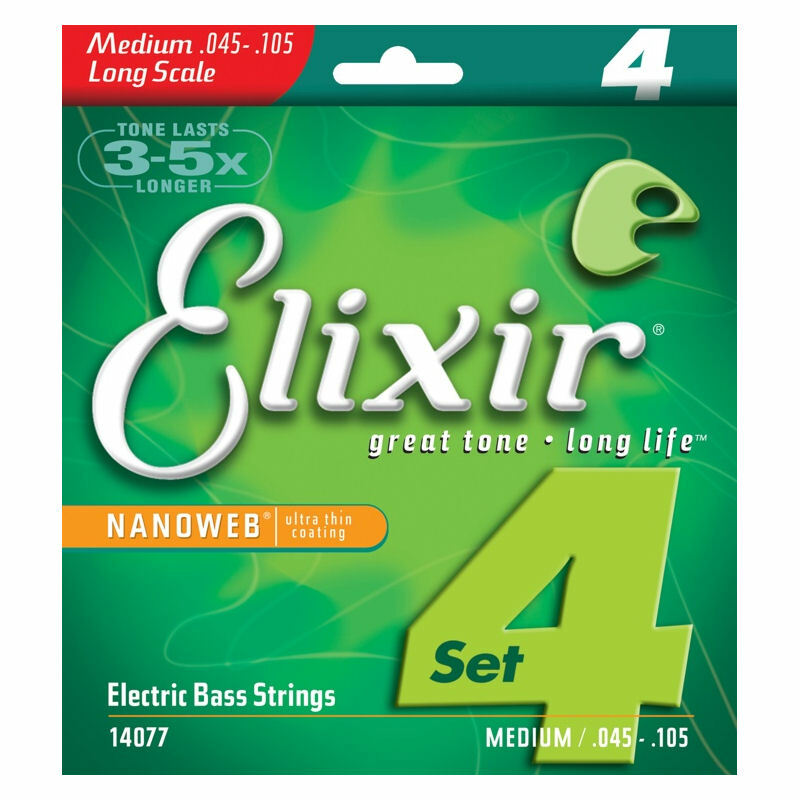 Elixir strings retain their bright tone 3 to 5 times longer than normal strings. The coating protects the winding from the elements that can make your strings go dead so you don’t have to replace your strings as often as uncoated strings.